“Slavery and Freedom in Central Virginia” is the subject of a Black History Month panel including Dr. Kirt Von Daacke, associate professor and assistant dean at the University of Virginia, Dr. Ted Delaney of Washington and Lee University, and Travis McDonald, director of architectural restoration at Thomas Jefferson’s Poplar Forest, in Snidow Chapel from Friday, Feb. 6 from 6 to 7 p.m. 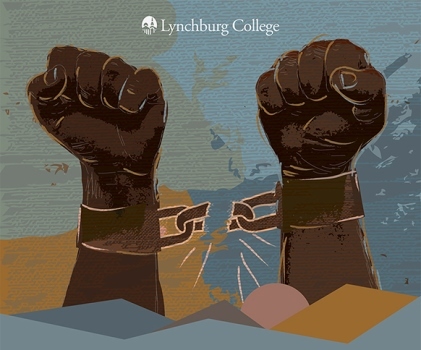 The event is sponsored by the LC History Department, Poplar Forest and the Center for Community Development and Social Justice. Dr. Adam Dean, LC assistant professor in history, will moderate. Dr. Theodore C. DeLaney is associate professor of history and former chair of the Department of History at Washington and Lee University. He is working on a book about school desegregation in the southwestern part of Virginia. Dr. DeLaney graduated from a segregated high school in his native Lexington, Virginia and did not begin college until nearly 20 years later. He holds a bachelor of arts degree in history from Washington and Lee and a PhD in American history from the College of William and Mary. Dr. Delaney teaches the history of Colonial American through the Revolutionary Period and African American history, but his primary teaching interests focus on black civil rights and the quest for gay/lesbian/bi/transgendered civil rights. Dr. Kirt Von Daacke is associate professor of history and assistant dean of academic advising at the University of Virginia. A former professor at LC, Dr. Von Daacke researches social constructions of race, community social hierarchies and identity in 18th– and 19th-century America. His first book, Freedom Has a Face: Race, Identity, and Community in Jefferson’s Albemarle, 1780-1865, was published by the University of Virginia Press in 2012. Dr. Von Daacke has also begun research for a second book-length project examining the history of a 19th-century interracial island fishing community in coastal Maine. He helps lead the UVa President’s Commission on Slavery and the University. Travis McDonald has worked at Thomas Jefferson’s Poplar Forest for more than two decades as an architectural historian and preservationist. He received his master’s of architectural history from the University of Virginia and assumed the title of director of architectural restoration at Poplar Forest in 1989. In addition to his professional responsibilities, McDonald is an active independent researcher and adjunct professor at University of Lynchburg. His latest research focuses on the lives of enslaved and free African American craftsmen in Lynchburg before the American Civil War and emancipation. He offers several internships focusing on local history for University of Lynchburg students and an Architectural History class that would be especially appealing to history and museum studies students.